Home » Blog » Selling Advice » When Is The Best Time To Sell A House? Whether you’re looking to downsize, relocate or move in with a significant other, working out the right time to put your house on the market can seem like an impossible task. We explore what time of year is best to sell a house, other considerations you should take into account when selling, and how to make your property more attractive to buyers. Spring is generally regarded as the best time to sell a house due to the warmer weather, blooming gardens and longer, lighter days. The housing market experiences an influx of new buyers between April and June, many of whom want to get settled before the start of the upcoming school year. As it is still quite early in the year, there are plenty of selling months to attract a buyer before the quieter winter period. If you’re looking to sell a family home, it’s advisable to wait until autumn as many buyers go on holiday over the summer months and have childcare commitments during school holidays. 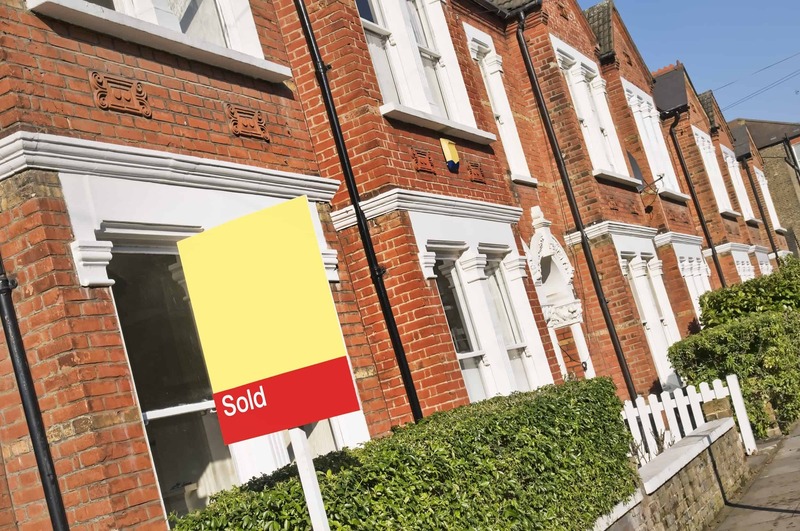 However, early summer is a good time to sell smaller houses or flats, as first-time or elderly buyers may want to move before the colder weather sets in. Autumn is the second-best time of year to sell a house. The weather tends to be fairly mild and there are no major holidays to contend with. If you want to sell before Christmas, it’s best to list your property at the end of September before the market slows down. December is the worst month to sell a house due to Christmas and New Year festivities. The cold winter weather means that properties can look less inviting, while many people are occupied with family commitments and holidays. However, January can be a good time to list a property as the market begins to pick up. Price – The easiest way to ensure a fast sale is to make sure that your house is priced correctly. Listing your property with an unreasonable asking price could turn buyers away and lead to delays. Buyers may also demand a reduction if costly repairs are found during the valuation. Local property market – It’s worth keeping an eye on your local market to see how long similar homes in your area are listed before being sold. Interest rates – As interest rates rise, the pool of potential buyers for your home shrinks, as someone who could afford your home before may no longer be in a financial position to do so. Fix any minor problems – many buyers want to move into a property that requires minimum maintenance and repairs, so filling in walls, replacing cracked tiles and removing worn carpets could make a world of difference. Declutter – Excessive personal belongings will stop buyers envisioning what a house could look like if they moved in. People often buy into a lifestyle as well as a property, so the more attractive the house, the more people can see themselves being happy there. Update the kitchen – Most buyers see the kitchen as the most important room in the house. If you have some spare funds, consider installing new cabinetry, upgrading the countertops or retiling. Paint – Giving walls or door frames a fresh coat of paint will make your home feel less tired and worn. Consider using a neutral colour, as it will make rooms appear lighter and allow buyers to better imagine how they could decorate the room themselves once they move in. Touch-up exteriors – Buyers will see the outside of a property first, so make sure you mow the lawn, remove weeds and add some attractive flowers to increase curb appeal. Cleaning – Although a quick run round with the hoover will undeniably make your floors look better, a deeper clean can really transform the feel of a home. Consider shampooing carpets, laundering your curtains and being liberal with the bleach. A home in the UK takes three to four months to sell on average, but some properties can remain on the market for years. This can be for a range of reasons, including buyers pulling out or an estate agent not promoting the property adequately. If you’re in this situation and you’ve exhausted all other options, you could consider taking out a new mortgage, renting your home or offering it on a lease option to meet any financial shortcomings. Selling your home can be intimidating and we recommend seeking professional advice if you feel you need it. Although it is beneficial to list your home when the housing market is busy, properties sell all year round if the home is attractive and priced well. If you’re looking to buy or sell a property quickly, contact our experienced surveying professionals here at Good Move.